How to judge if mortgage refinance make sense? Yes the standard rule of thumb is if you can recoup the cost of mortgage refinancing in two years or under then it makes good economic sense. But what if I need a lower payment now? But what if I want cash back? And the list goes on and on of the personal reasons to refinance a mortgage. Therefore, understanding how the numbers work and using your real estate loan numbers to do the math can give you the best way to understand if mortgage refinance make sense to you. The benefit analysis of a mortgage refinance is simply the cost of the refinance versus the benefits received. The numbers of the cost of refinancing the loan should be provided with the loan documents. You will get a good faith estimate along with an APR. Beside all the specific costs like application fee, loan origination fee, points, appraisal fee, inspection fee, homeowner’s insurance, private mortgage insurance (PMI), FHA, RDS, or VA fees, escrow fee, doc fee, transfer tax, title insurance and whatever else they could think of including. There are few ways of looking at how cost is covered in a mortgage refinance. Talk to your personal mortgage broker to get a handle on the true cost of the loan. Remember, there are many loan offerings that can offset the cost of the loan origination. Lenders offer incentives for quality loan applicants and loan terms that can fully offset the cost of the loan. Therefore you are dealing with a zero origination cost loan that makes understanding the loan terms the most important part if the refinance make sense to you. If there are fees or costs of the loan, there are a few ways of handling them. The first way is easy; you just pay the closing costs. It is simple to understand, you just write a check that covers the cost of a new loan. Many times you will get the lowest interest rate possible. But there is a balancing act between using present day dollars to save future depreciated dollars. And there is always the opportunity cost of money. Work with your mortgage broker to examine your options and strike the right balance for your situation. Next is just as easy to understand. They role or add into the new loan the cost of getting the loan. A simple example is if the loan cost is $3,000 and the amount needed to finance is $100,000, the new loan amount is $103,000. This is a very popular way real estate loans are made. The key to remember is the loan cost becomes part of the principal you borrow. The next way of paying for the cost of a mortgage loan is complicated. Basically the lender gives a credit depending on the loan’s interest rate and/or the borrower credit circumstance. There may also be credit for the type of loan, the lender’s balance sheet, market conditions and many other factors. Then these credits are used to offset the cost of the loan in full or in part. Mortgage brokers generally have more access to these types of cost savings since they work with more than one lender and choose the best deal for their client. The next step in the cost benefit analysis of refinancing your mortgage loan is time to repayment. How long will it take to cover the cost of the refinance? Using the real numbers of your mortgage refinance is the best way, but here are some sample numbers. Let’s assumes you have a mortgage of $200,000 with a 30-year fixed-rate mortgage at 6% and you can get a new loan for 5%. Current loan principle and interest only equals $1,199 per month. The new loan principle and interest equals $1,073 per month. Now subtract the new from the current loan and get a savings of $126 per month. Just divide 126 into the loan cost and get the number of months to break even. If the loan costs $2,000, then it would take about 16 months to break even on the refinance. Make sure your breakeven point is longer than the time you are planning to live or own the property. Not surprisingly this is math and financing, so you can get a whole lot more complicated. One problem is how the lower interest paid impacts the taxes you pay. If you are on the bubble of the tax rate paid, the reduction in the tax rate could be of consequence. Check with your tax accountant if the mortgage deduction is a major part of your tax management plan. The easy formula to calculate if mortgage refinance is right for you is Goals – Cost = Benefits. The personal and most difficult part of the estimate is monetizing the benefit. What dollar amount can you put on the advantage is the key in understanding if mortgage refinance is right for you. Refinancing your mortgage can be measured in the dollars you save per month and the life of the loan. Measuring the less stress of a lower monthly payment may be worth more than the dollar amount in the long run. After understanding the numbers and the benefits only you can justify the cost of mortgage refinancing. Reap the rewards of a loan refinance once you begin the process and get your individual real numbers. Make that happen by starting the free, no cost loan application process. 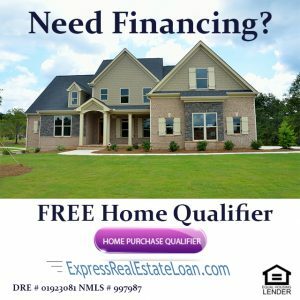 Our California Loan Associates -- Sacramento & Foothills web site expressrealestateloan.com is the best way to apply for a mortgage. Click the button and see what rewards a wait you.